So this spot isn't in Orlando but I'm so happy I got to visit for breakfast when I was in downtown Melbourne. 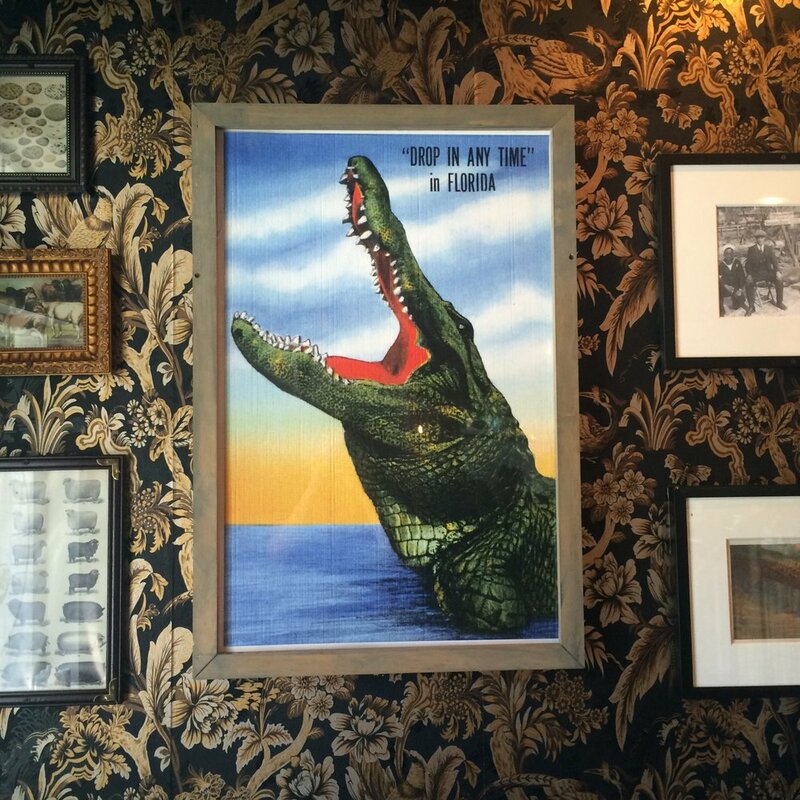 Backwater's decor shows off classic Florida complete with maps, historic photos, and of course alligator art. It's charming and welcoming, but most importantly I had the best waffle here in recent memory. On the menu you'll find it as "Citrus Waffle" - a lemon orange zest waffle sprinkled with candied orange. It's sweet and fresh and an undeniable taste of the goodness of living in the Sunshine State. Some tables have griddle tops so you can chose to make your own pancakes which is well and good, but this is a waffle Leslie Knope no doubt dreamed about, minus the whip cream. It cannot be denied. I don't often have reasons to visit Melbourne, but I will make sure to get back here soon. True story: When I worked at Chili's many moons ago, I served Mr. Joey Fatone. He ordered the Chicken Crispers and I thought "Joey is just like us, he likes his food greasy and fried with a big heaping pile of fries on the side." Who could of guessed one day he'd be a restauranter. I visited Fat One's, his hot dog kiosk in the Florida Mall, with no expectations other than to have hot dog burps the rest of the day. I ordered the "Gone Hollywood" dog which came with mozzarella, onions, guacamole, and green onions. They immediately got a point for toasting the hot dog buns, nothing worse than colds buns next to a toasty wiener, am I right? The hot dog itself wasn't bad but I don't know that it was worth a repeat trip. Sorry Joey, I still have love for you and the boys of N'Sync. This I promise you. Breweries are popping up all over Orlando and it's hard to keep up with the newbies. A few Friday nights ago some friends joined us in checking out Deadly Sins hiding off Fairbanks on Jackson Avenue (behind 4 Rivers). It's a great open air spot with several beers on draft which was impressive considering the size of the operation. I smelled lots of beers, (one had a fragrance much like an Almond Joy) but only drank a Mimosa cider which was awesome. They could use a bit more seating, but we found a table to drink and feast on delicious eats from the Urban Flavor Orlando food truck and enjoyed the cool Florida night. They have live music, trivia nights, and even Yoga on a rotating schedule. Orlando is getting an influx of Boba and it's all thanks to Quickly. Their location on E. Colonial has been a favorite spot to many, but now they've expanded with a location on Universal Blvd (in the Publix shopping center) and a spot off Alafaya Trail. Rumor is, cafes are coming to Altamonte and Windermere soon! If you haven't learned to love the chewy goodness that is Boba, better get back to it! Even if Boba isn't your thing the flavors of tea and milk slushies can't be beat. Domu at the East End Market is open and is the new hot spot to try out. They did a beautiful job transforming the space, especially the lounge. It feels like a West Elm show room with a bar. I just wish they would get rid of the communal high top table they inherited from Txokos with the most uncomfortable stools I've ever had the pleasure of sitting on. The playlist kills it while you dine, pumping out old school hip hop and R&B (10 points are automatically awarded to any place that lets me eat to TLC's Creep). When it comes down to the Ramen it was good but I personally wasn't over the moon for it. Something in the broth was not vibing with me. I wanted to love the broth so much that it moved me to sip it out of the bowl leaving no drop behind; suffice it to say I did not. My Cuban/Italian background certainly doesn't leave me knowing much about ramen. I need to try a few more bowls and see if any hit me a different way. The KFC chicken was in fact finger licking good, and my cocktail was awesome. But of course with drinks crafted by Rene Nguyen they had no option of disappointing. I got the Kyoto Mule which was kin to Moscow Mule with Japanese Shocu and Lychee. I will definitely be back to try more small plates and see what dishes work best with my taste buds. Osprey Tavern was kind enough to host myself and OrlandoEats to try their new lunch menu. I'm happy to say their lunch was by far my best experience at Osprey Tavern. I opted for the Grain Bowl filled with anson mills farro verde, tomato vinaigrette, cucumber, bok choy, pickled beets and I added chicken as my protein. It had a really nice flavor and was quite filling with a modest $12 price tag. 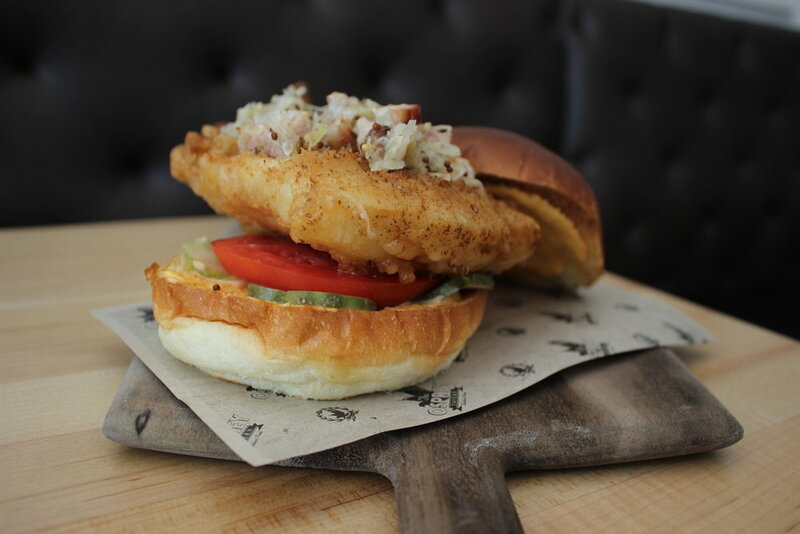 OrlandoEats chose the Fried Chicken Sandwich that came with sriracha aioli, tomato, choucroute, and dill pickle. Food lovers always share so I got to try a piece of the chicken and it was perfectly fried and juicy. I forgot all about my past love of Chick-fil-A.Because owner Jason Chin is the ultimate host he brought over some extra comfort food for us, a cheese pizza and creamy tomato soup for us to dip it in. Of course we both lost focus and started devouring it because it was so good and who can resist a good dip? 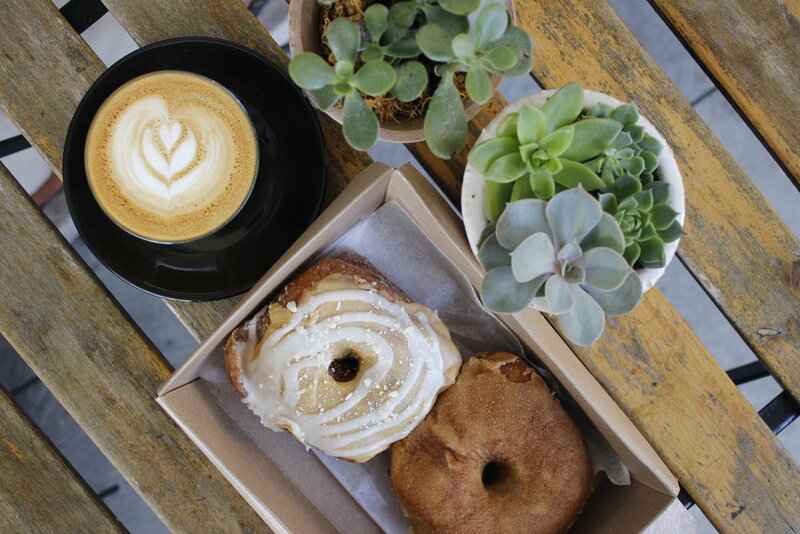 Until the next round up, here is a picture of a beautiful latte from Lineage paired perfectly with Valhalla Bakery doughnuts. Now you know exactly how to treat yourself this weekend!